Gentlemen don't court feisty straight shooters like JoBeth McCoy. Just as she's resigned to a lifetime alone, a misunderstanding forces the spunky telegraph operator into a marriage of convenience. 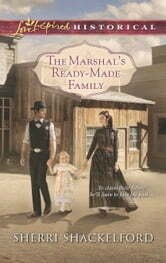 Wedding the town's handsome new marshal offers JoBeth a chance at motherhood, caring for the orphaned little girl she's come to love. Garrett Cain will lose guardianship of his niece, Cora, if he stays single, but he knows no woman could accept the secrets he's hidden about his past. The lawman can't jeopardize Cora's future by admitting the truth. 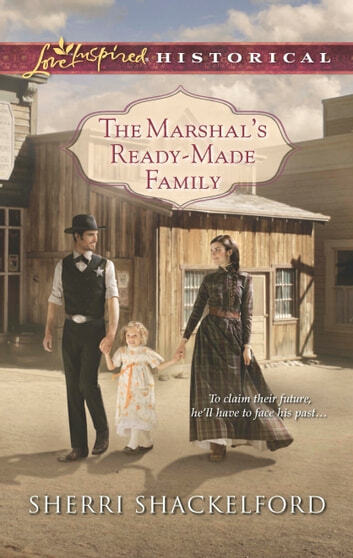 Yet when unexpected danger in the small town threatens to expose Garrett's long-buried secret, only a leap of faith can turn a makeshift union into a real family.